Legend has it that the Chicago Cubs haven't won a World Series since 1908 because, a long time ago, the team refused to let in a fan's pet goat. 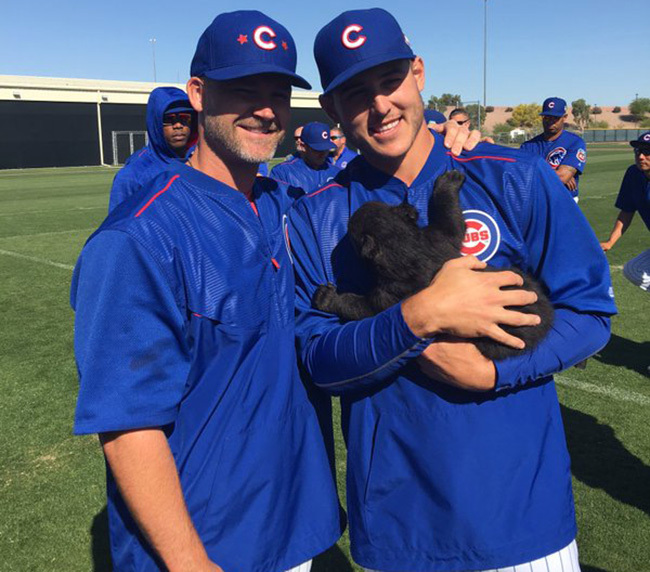 Even though Chicago is a favorite to win a title in 2016, maybe they thought they'd get a little extra help from the animal kingdom by hanging out with some actual baby bears. This is some kind of goalazo goal from a kid soccer player. Eat your heart out, Messi!